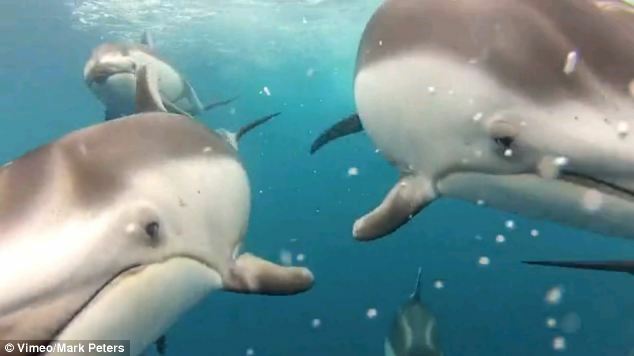 An underwater camera captured the unexpected moment a group of fishermen were joined by a pod of dolphins as they sailed off the Californian coast. 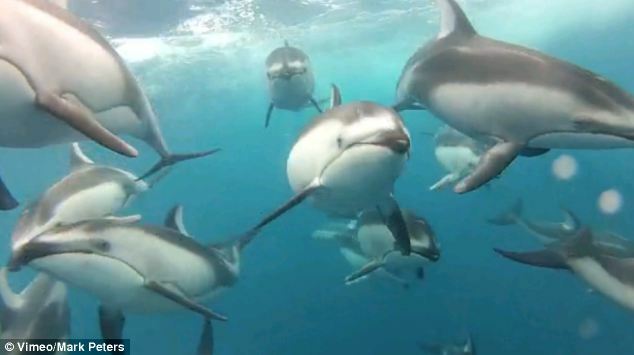 Fisherman Mark Peters was attempting to make a film about albacore tuna when the boat was followed for a few minutes by an inquisitive group of Pacific white-sided dolphins. 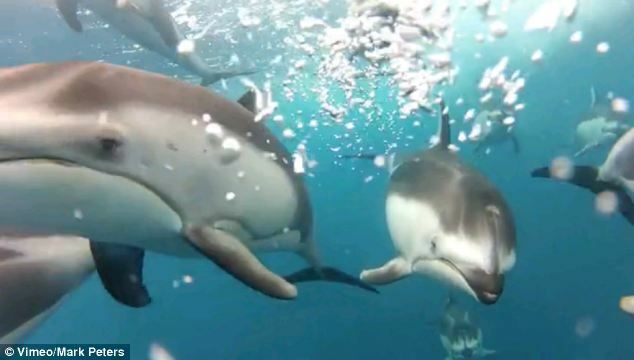 The delightful footage shows the dolphins swimming together as the boat sails 20 miles off the coast of Santa Cruz, giving a unique glimpse into their activities. 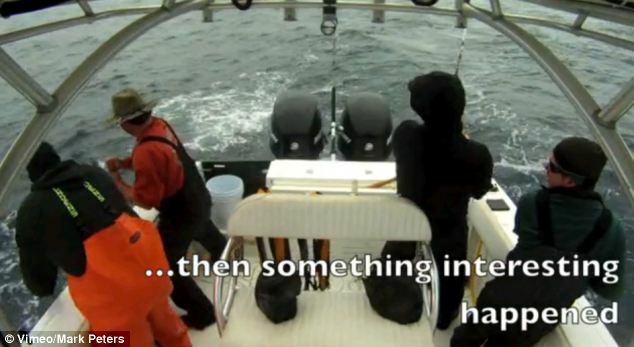 The group of fisherman are shown laughing and joking as they fish for albacore tuna, and Mr Peters had hoped to capture some underwater footage as the tuna were reeled in. 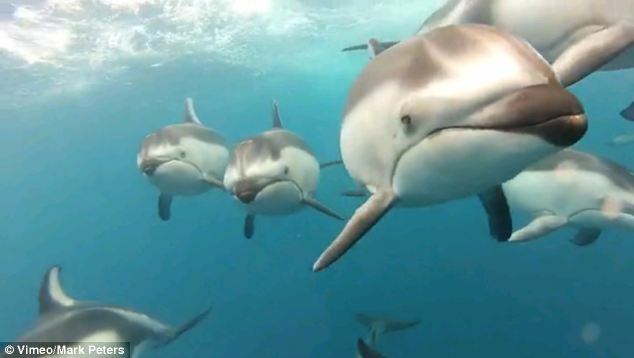 He was thrilled to spot the surprise guests on his camera, which was trailing behind the boat in a home-made rig, and set the film to music by Pearl Jam, Eddie Vedder and Flobots before posting it on video-sharing site Vimeo. A few comments below the video criticise the film's sometimes-graphic depiction of tuna fishing, as the group are shown clubbing the tuna they catch. But the rare glimpse of the playful dolphins swimming out in the Pacific will delight nature fans.